The best thing about small and part time businesses, like child care or baby sitting as we know it, is that they have huge potential to become large scale. You just have to invest some hard work and some smartness, gain some edge over competition, and then enjoy the cash windfall. A professional website is the best way to gain that edge and because of new website content management system such as WordPress, it has become very easy. So if you are a part time baby sitter or a professional child care specialist who wish to expand their business, the only problem that you may face in building a WordPress website would be selecting a perfect theme out of hundreds of free and paid available themes. But don’t work because here we present to top WordPress themes for babysitter or childcare service that you can use for your professional website. Children is a simple but attractive theme with stunning color combination and soothing fonts. The best part about this theme is that it has a responsive layout, i.e., it can adapt to any screen size to allow optimum view on every type of display devices. 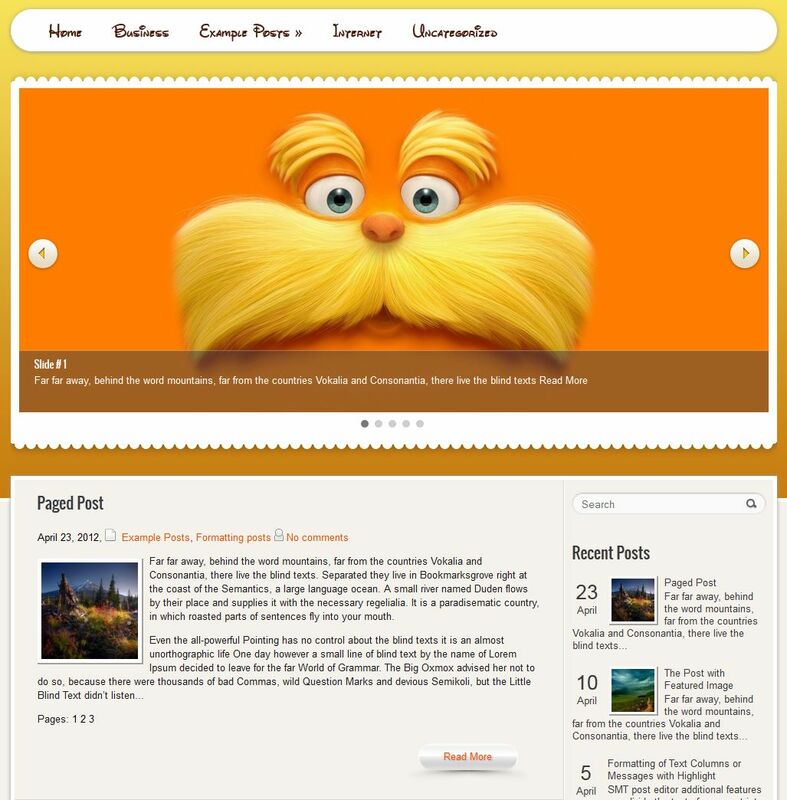 The theme comes with an integrated social share bar, custom sidebars, a dynamic content loader, and custom menus features. The theme is SEO optimized and is also fast loading. In addition the theme is compatible with the latest versions of WordPress. 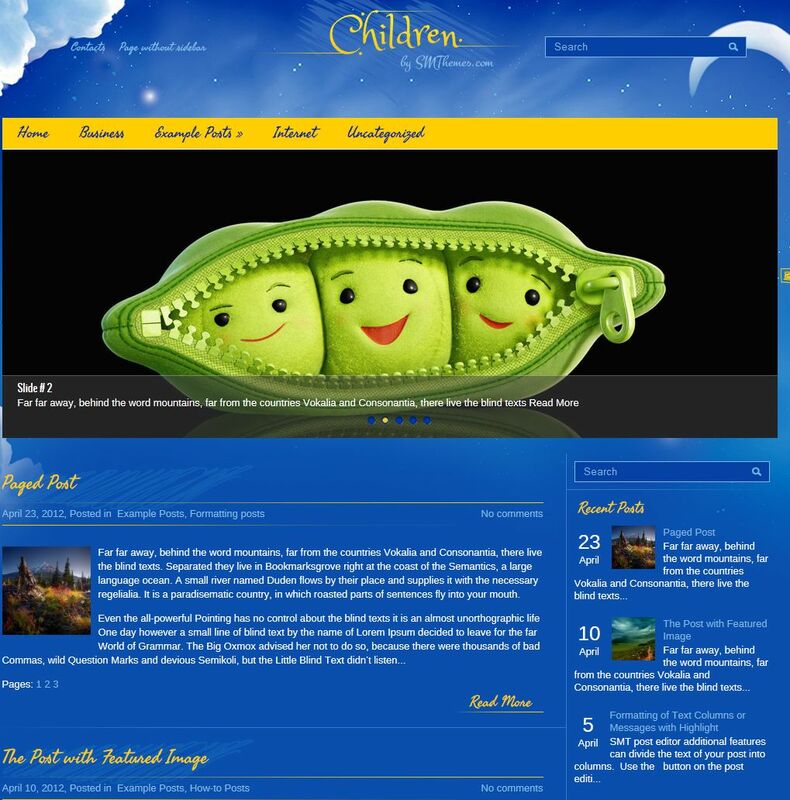 Responsive, SEO optimized, and Shortcodes ready, Childreness is a a very good theme to make any type of website related to children. It is highly customizable and comes with a dynamic content loader. The theme has a smooth built in image slide that can be customized according to web-developers need. Childreness also comes with a built in social share bar, custom menus, Antispam without captcha support, and a built in contact page. In addition the theme is also widget ready, i.e. you can place your custom widget in the theme as per your need. With a name containing the word cartoon, WPCartoons was designed specifically to attract children and their parents. It is a perfect combination of color scheme, font and additional features that is bound to attract visitors to your website. The theme is responsive, widget ready, SEO optimized, shortcodes ready, and has options to translate into different languages. In addition the theme has a built in social share bar, an inbuilt contact page, and is compatible with all the latest versions of WordPress. Highly customizable, cross browser compatible W3C ready and CSS compliant, Wooden fence has all that it needs to attract children, their parents, and search engines. 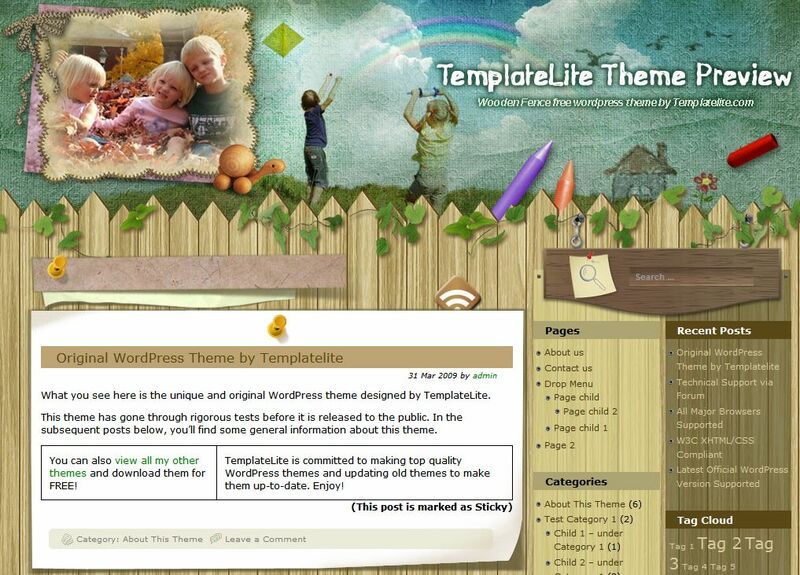 The theme has widgetized sidebars, has customizable dropdown menus, and support to build custom header menus. The theme also supports wide screen resolutions and has a friendly CSS code. It has a dedicated options page and can generate automatic thumbnails. 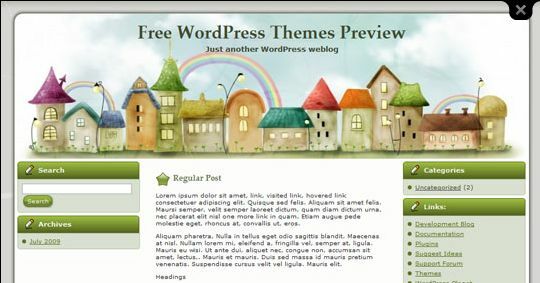 A blog come professional theme, Stretch of Houses can be used to create attractive Child Care WordPress website. The theme is widget ready and cross browser compatible. 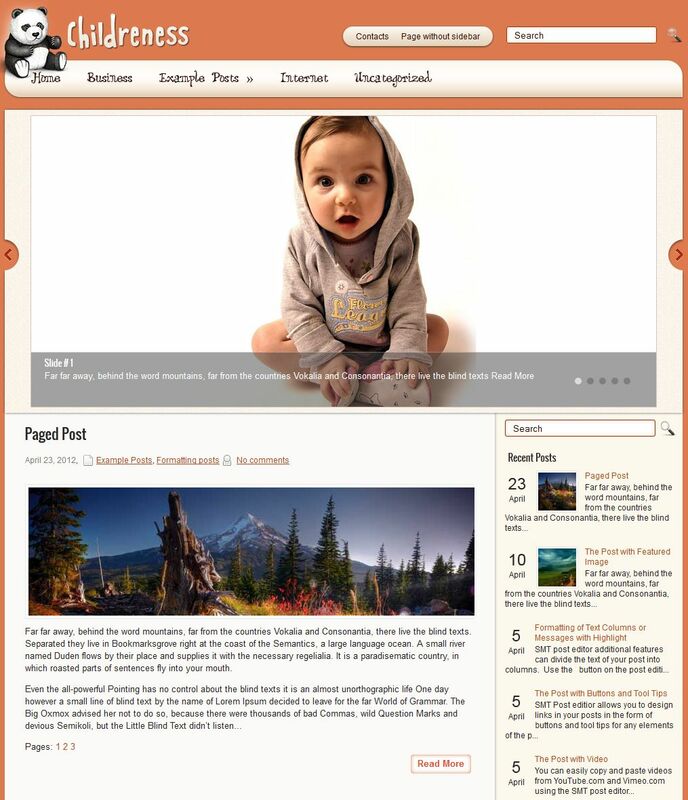 It supports WordPress 3.0 menu system, and has a built in content slider. In addition it has a attractive header and smooth 3 column design. It is designed especially for kids and babies.